My laptop is over 7 years old but still live and kicking. However, two months ago I decided it was high time I replaced my old HDD with a new SSD. To do that, I needed almost half a TB of storage space to transfer my digital life onto until the transition was over. Everything I ever worked on virtually was in question. 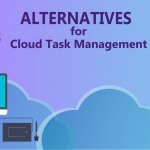 Luckily, cloud computing was there to save the day, hence here is my story on which Google Drive alternatives to use based on your needs. I surely know I now fully rely on one of these. Can you guess which one is it? 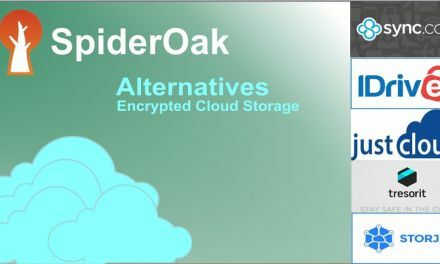 Before I delve deeper into those alternatives, let’s get clear on what cloud storage is and why I find it useful. Let’s say you are a graphic designer. You produce graphic material daily – be it logos, featured images for somebody’s blog, or just doodling to excel your skills. You save all files. However, working in Photoshop means keeping editable files consumes a lot of space on your HDD/SSD. 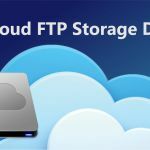 That is exactly why you need cloud storage: to save all your files online, in the “cloud,” and have access to them anytime, anywhere, safe and sound – and nobody can access them besides you, unless you give them the permission. How cool is that? Why do we choose 10TB storage for price comparison? But once I moved and went to University, I realized it was not going to be enough. Back in the days we still used print books, but the Internet offered a lot more resources: free ebooks, tutorials, novels to read, knowledge to acquire. Writing any seminar paper meant relying heavily on exploring additional sources; the more you had the better you could prove you grasped the material. And, before I knew it, my 4GB USB thumb drive was a thing of the past. Additionally, having 8 courses per semester, with at least two TAs, meant exchanging loads of material with them. Sometimes even a simple group seminar paper you worked on meant a month’s work. Can you imagine the load of digital material it incorporated? I cannot imagine how I would have managed it all if it wasn’t for the help of my 10 TB plan at the time. Top notch security features mean your files are fully protected 24/7. Compatible with the wide range of other Google products to enable smooth work anytime, anywhere. You can easily choose which files to keep private or share with your colleagues. UK-based server means your files have a “Military Grade Security” backup. Integration with majority of productivity tools enables smooth workflow. Selective Sync feature lets you choose which files to store in your computer. Box Cloud Storage is recommended for mobile aps and web developers. Instead of downloading files, directly preview more 120 file types. Box Capture feature integrated with iPhone / iPad enables direct files transfer to Box. Device compatibility – be it on your phone, tablet or a computer, Amazon Drive got you covered! Unlimited storage solutions trial period for 3 months! Your files are safely stored in Amazon secure servers. Microsoft Office compatibility – continue your work right where you stopped even if you switch devices. 24/7 phone support and IT-level web support. Huge files storage allows up to 10 GB per file. 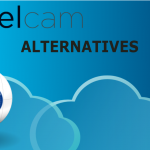 Multiple OS compatibility – work on iOS, MAC and Windows. Family Sharing introduces harmony to a digital life of up to 6 family members. Works while you sleep – Night Backup uploads your files over Wi-Fi during night. 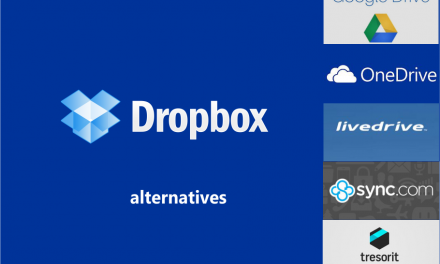 Google Drive and Dropbox are at the same time very similar and completely different! I have used them simultaneously for quite some time to see the differences, and, besides the visual aspect, could not find them any flaws in mutual comparison. However, Google Drive instantly wins with free plan storage space, as it offers 15 GB storage compared to 2 GB of Dropbox free plan. 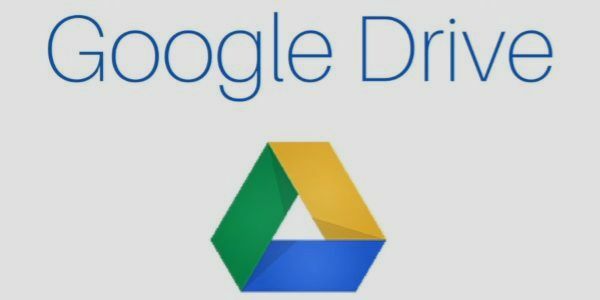 Moreover, if you need 10 TB storage – Google Drive wins as you spend $99.99 per year only compared to 240 dollars you’ll need for Dropbox . But hold your horses! 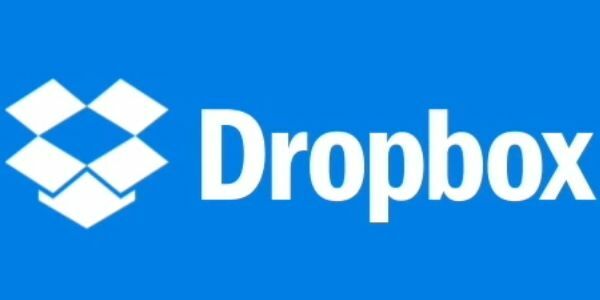 There are ways to increase the free Dropbox storage space – by inviting other users to join. Once they click on the invitation link you send them to and complete the installation process, you get 500 MB of free storage. If you have many friends or colleagues to frequently share files with, this is an excellent option. 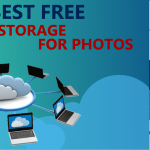 Following this path, my sister accumulated about 11 GB of storage space in Dropbox free plan – but the problems arise once there are no more friends to invite while at the same time your files amount keeps rising. It would have been so much wiser for her to go for Google Drive from the start. Google Drive and Box should not be really compared, because, so it seems to me, Box is primarily meant for not only business purposes but rather specific businesses – IT, web design, mobile app development, and similar teams. On the other hand, Google Drive is there for anyone who wants to try it out, be it individuals or companies. Google Drive free storage plan comes with 15 GB, compared to Box’s 10 GB. Google Drive offers 100GB for $1.99 per month, Box offers 100GB for $10 per month. And, to top Google Drive’s 1 TB and 10 TB paid plans, Box offers just one more option: unlimited storage space for $15 per user, per month, with at least 3 users. Some of the best known users of Box are as various as AstraZeneca, Procter&Gamble, General Electric, Nationwide, Boston Scientific, and Pandora. Those names solely are the reason enough to try Box out. After all, if they found it to suit their needs, why would your company be any different? Furthermore, Box now comes with various platforms integration, such as Office365, GoogleApps, SalesForce, IBM, Slack, MobileIron, Symantec and airwatch, to enable smooth workflow and full business collaboration. While I worked in a full digital agency, our backend developers found Box particularly useful, as it enabled them to work from home and synchronize their work any time, with colleagues catching up where they left off. 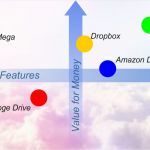 There will be a lot more to say about Google Drive all the way to the end of this piece, but when it comes to its comparison to Amazon Drive, I’d say that Google is the ultimate winner – at least for what I need. First of all, Google Drive has an app which enables you smooth upload of your files to the server – while Amazon Drive cancelled a desktop app option and now works either via website or one of the mobile apps. 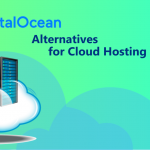 That means that I will not use a storage solution which is not device compatible – however some people may be indifferent to this and use it nonetheless. Secondly, Google Drive again wins for the 15 GB free storage plan, when compared to 5 GB of Amazon Drive free plan. Thirdly, there are different storage / pricing options to consider. Google Drive lets you upload more file types and has 100 GB plan for $1.99 per month; 1TB plan for $9.99 per month; and 10TB for $99.99 per month. On the other hand, Amazon Drive offers unlimited photo storage and 5 GB for other file types for $11.99 per year; and unlimited storage for any file type for only $59.99 per year. Those who store photos only will surely find Amazon Drive useful, however if you need 10 TB storage Amazon Drive offers better price – $59.99 per year against $99.99 Google Drive offers. 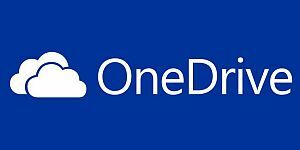 OneDrive is the Microsoft storage solution, while Google Drive is owned by Google. Once you install Windows 10 in your computer, OneDrive will come as an app / program in the regular system update at the very beginning. With Google Drive, if you want it, you will have to look for it. However, they are virtually the same apps developed by the opposing parties, to put it that way. They function completely the same, and enable you to access, view and edit your files either through the app or online directly. Once again, the varying plans make room for also varying pricing options, hence it is in place to make further calculations to see which one suits your needs better. For example, Google Drive offers 15 GB of free storage; 100GB for $1.99 per month; 1TB for $9.99 per month; and 10TB for $99.99 per month. On the other hand, OneDrive comes with 5GB of free storage space; for 50GB you are required to pay $1.99 per month; but 1TB storage space is only part of an Office 365 subscription, which means that you further have to pay another service if you want to use the first one. 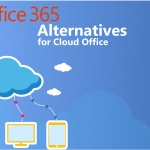 Quite a handy solution for the existing Office 365 users, but not a favored one by the non-users. Again, if it comes for 10TB cloud storage OneDrive is more expensive option that Google Drive. In fact, you will have to spend 30 bucks more each year. 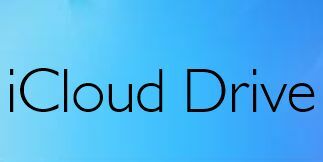 Although there is always the risk of being called biased, I’d say that the greatest difference between Google Drive and iCloud Drive are their users. After all, it’s iOS users who will claim their OS is the ultimate one, the one that enjoys the utmost prestige, and that any OS would want to become the iOS once they grow up. This funny aspect aside, while Google Drive would require you to have a Gmail account to run all your Google services from, iCloud Drive enables integration with Windows OS as well, and is thus more accessible to users of other platforms as well, not just iOS. The initial storage plan is 15GB for Google Drive and 5GB for iCloud Drive. 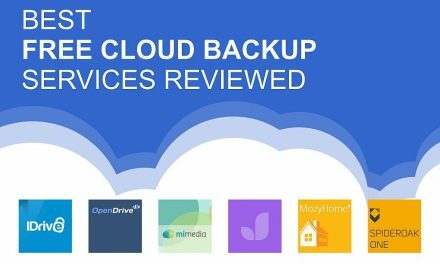 Another interesting feature of iCloud Drive is the plan upgrade or downgrade via your phone directly, which is not so easy in many other cloud storage solutions. Even switching from an annual plan to a monthly plan is as smooth as it can get. 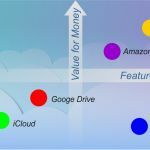 When it comes to pricing, Google Drive and iCloud Drive offer different pricing plans, hence further calculations are in place to investigate in depth which one suits your needs the most. 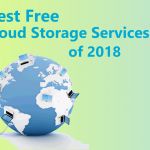 However, as we are looking for 10TB cloud storage option, you’ll have to pay 119.88 per year if you go with iCloud Drive against $99.99 for Google Drive. 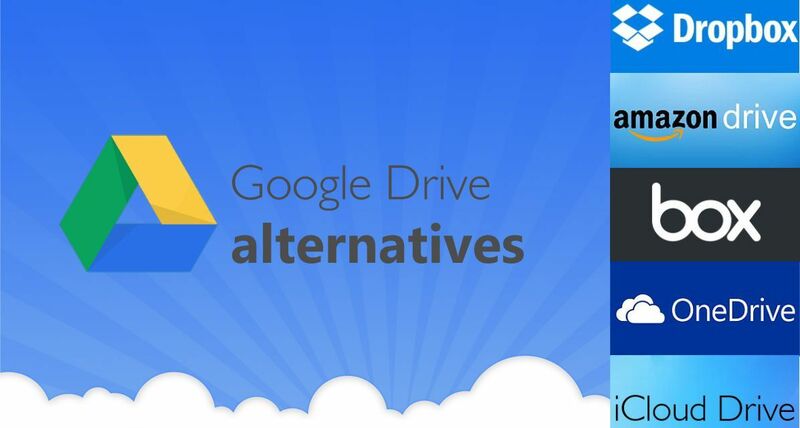 Want to know what are the best Google Drive alternatives? 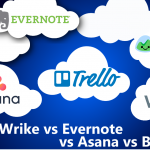 Read on to learn what makes Dropbox, Box, Amazon Drive, One Drive, and iCloud Drive, fair competitors in the cloud storage race – and discover which of these is the best one for you in terms of features and compatibility with your specific needs. 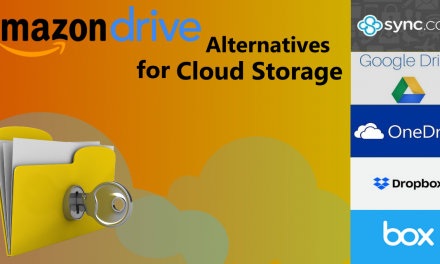 However, if all you need is 10 TB cloud storage and the price is your main concern, Amazon Drive is the best alternative to Google Drive for you.